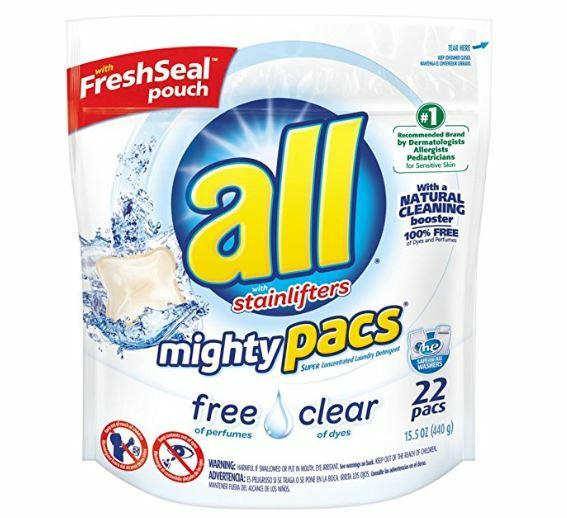 Get this all Mighty Pacs Laundry Detergent, Free Clear for Sensitive Skin, Unscented, Pouch, 22 Count on sale for just $2.99 when you purchase it as an add-on item! -Safe for the whole family, these hypoallergenic single-use Mighty Pacs are gentle on skin. -100% free of perfumes and dyes and unscented, all Free Clear cleans your clothes without leaving irritating residue. -Use with all Free Clear fabric softener and dryer sheets for clean and soft clothes with static cling reduction in the dryer.